Rajamouli's magnum opus Baahubali:The Conclusion starring Prabhas, Rana, Anushka and Tamanna in the lead roles, will have its teaser trailer launched on the auspicious day of Dasara, while the movie is scheduled for a release on April 14, 2017. 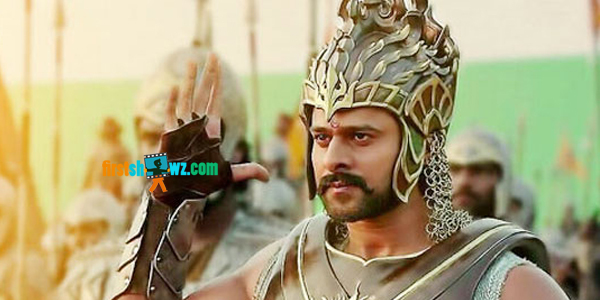 Baahubali The Conclusion shooting was shot in Kerala and specially erected sets in Ramoji Film City, and the makers are busy with the rest of the shoot schedules. The film’s shoot schedules will be completed in a couple of months, but the post-production works will take few months to wrap. VFX Supervisor RC Kamalkannan, who had earlier worked for Rajamouli’s blockbusters Magadheera and Eega is also working for Baahubali The Conclusion. Baahubali 2 to be produced by Shobu Yarlagadda, Prasad Devineni on Arka Media banner has camera by Senthil Kumar, music by Keeravani, Story by K. V. Vijayendra Prasad and screenplay by Rajamouli.